Track and recover your lost or stolen device. FoneHome secures your mobile device, helps you to get it back if you lose it, and makes sure your sensitive data doesn't fall into the wrong hands. Download it today and gain the peace of mind of knowing your mobile device is protected. See the location of your device on a map. Anytime, anywhere. Lost your phone in your couch cushions? No problem, just activate the siren and it will start playing, even if your device is on vibrate mode. Catch a thief in the act or just get some clues about where you left your device by taking a photo remotely using its camera. Leave a message for someone who finds your device so that they can contact you. Lock your device so that no one else can use it or access your private data. If necessary, wipe your device and permanently delete the data it contains. See who's been using your phone - and who they've been calling. Prevent the app from appearing in the app drawer for a stealthy, undetectable installation. Receive notifications if the SIM card in your device is changed, along with details such as its new phone number. 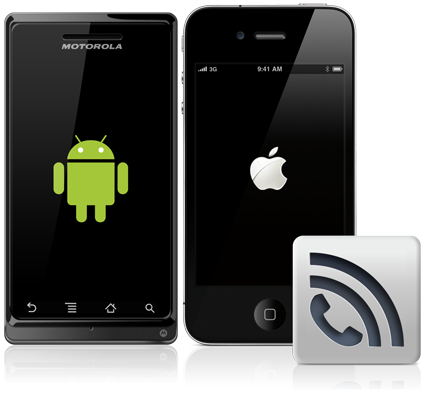 Track as many devices as you like, and have both Android and iOS devices under the same account. Lesser tracking apps are rendered useless if your device is turned off, its battery dies, or it loses connectivity. FoneHome can report your device's position to our servers periodically so that in the event your device cannot be reached, you'll always have its last known location.